The Mega Millions lotto was up to, like, $330 million this weekend. Naturally, this meant I spent a fair amount of time on Friday night talking about my If I Won the Lottery list. It was then confirmed by several friends that my list* is seriously boring. However, I neglected to talk about the bag I saw at Bess & Loie last week, and how I'd buy this Jalda bag as my first purchase. 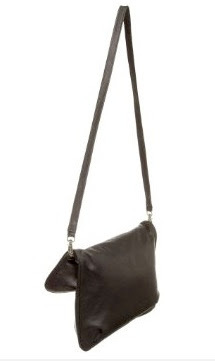 Perhaps the super-soft leather and cross-body strap (practical for biking!) could bump my lottery winnings spree up a notch into mildly interesting territory. *Seriously, my list is all responsible and stuff. Top five items to blow winnings on? Paying back my loans, buying a place to live in Chicago (with a prudent amount set aside for maintenance and refinishing, of course), paying off the balance of my parents' mortgage, buying a new bed and dresser, and buying a desktop Mac. Yes. 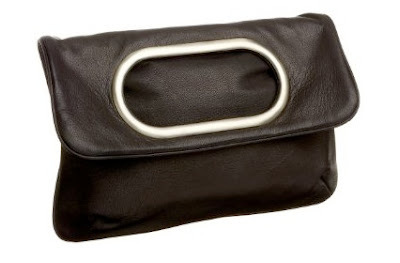 I am made of equal parts utter practicality and frivolous longing for leather bags that I cannot afford. It's ok to be impractical on our blogs. That's what they're for! And that bag is pretty great. my lotto list is almost exactly the same, only "car" is there instead of "mac"
not even "new car" or "nice car"
my friend could not believe that I wouldn't buy a new car if I won the lotto. "But my car is fairly new! ", I protested. "I mean, I'd get the jacked-up front bumper fixed, and probably get the scratches taken care of, but... I don't need/want a new fancy car."